The ASUS ZenFone Max Pro M2 and ZenFone Max M2 smartphones have gone official in Russia in an announcement that has taken everyone by surprise. The two highly anticipated smartphones were slated to launch on December 11th in India as well as in Indonesia, but have had their specifications revealed officially already. Specifications of both the ZenFone Max Pro M2 and ZenFone Max M2 are in line with what the spate of leaks over the past few weeks suggested, with not much room for surprise. The ZenFone Max Pro M2 price has been set as RUB 17,990 (roughly Rs 19,000). The smarphone has the model number ZB631KL and is listed in only Blue colour on the company’s Russia website. As for the ZenFone Max M2 price, you will have to shell out RUB 12,990 (about Rs 13,800). It has been listed in Black and Blue colours and carries the model number ZB633KL. In terms of launch offers, the company is giving away a JBL Tuner speaker and ASUS FoneMate earphones with the former, while buyers get only the FoneMate earphones with the latter. 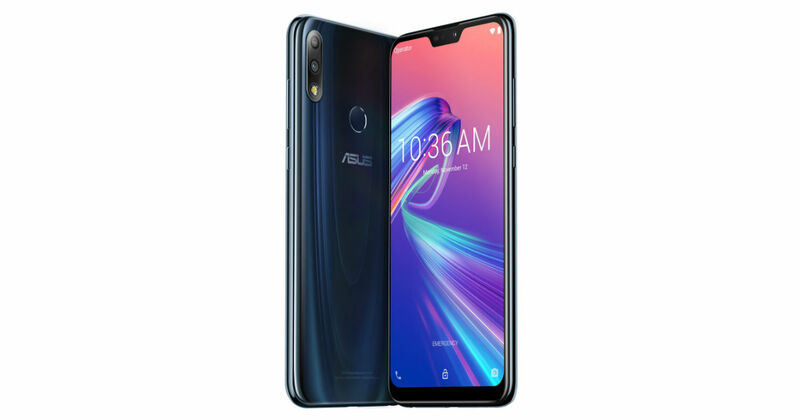 Starting with the ASUS ZenFone Max Pro M2 specifications, the smartphone has a 6.3-inch display with full-HD+ resolution (1,080 x 2,280 pixels) and a small notch. It is powered by the octa-core Snapdragon AIE processor and comes with 4GB of RAM. There is 64GB onboard storage, with microSD card support for storage expansion; however, the maximum supported capacity for the microSD cards is not clear. In the imaging department, you get a 12-megapixel + 5-megapixel setup on the back and a 13-megapixel camera in the front for selfies. Connectivity options on the smartphone include Wi-Fi,4G LTE, Bluetooth 5.0, NFC, 3.5mm audio jack, and dual SIM support. There is a 5,000mAh battery too, which had been previously confirmed by the company. The handset weighs 170 grams and measures 157.9 x 75.5 x 8.5mm. Moving on to ZenFone Max M2 specifications, you get a handset with a 6.3-inch HD+ (720 x 1,520 pixel) screen with 19:9 aspect ratio as well as a rather wide notch and octa-core Snapdragon 632 SoC. The smartphone comes in 3GB RAM + 32GB storage configuration, and supports microSD cards too. Here too, the maximum supported storage capacity for the microSD card is not mentioned. On the back is a dual camera setup with 13-megapixel + 2-megapixel sensors, while a 8-megapixel camera is placed in the front. ZenFone Max M2 has a Wi-Fi, 4G LTE, Bluetooth 4.2, GPS, dual SIM functionality, and 3.5mm earphone jack in the connectivity suite. Lastly, the handset has a 4,000mAh battery, weighs 160 grams, and is 158.41 x 76.28 x 7.7mm in size. The listings on the ASUS Russia website do not mention the Android version of the two smartphones as well as whether we can expect them to come with stock Android software. However, it is mentioned for both that they will have a dedicated microSD card slot. The glossy glass body of the ZenFone Max Pro M2 is visible in the photos, while the ZenFone Max M2 has a metal body.